On Sunday we are starting a brand new series. We are looking at what the three marks of a Christ-follower are. For sure we should look like Jesus if we are followers of Jesus. But what does this practically mean? If we could distill it down and make it concrete, practical, and real life – what would a Christ-follower look like? That’s what we want to explore for the next few weeks. We want to take all the “vagueness” out of following Jesus and make it concerte and real. We want to give each person three goals, or three marks to pursue in their life that will draw them deeper into life and into Jesus’ life. 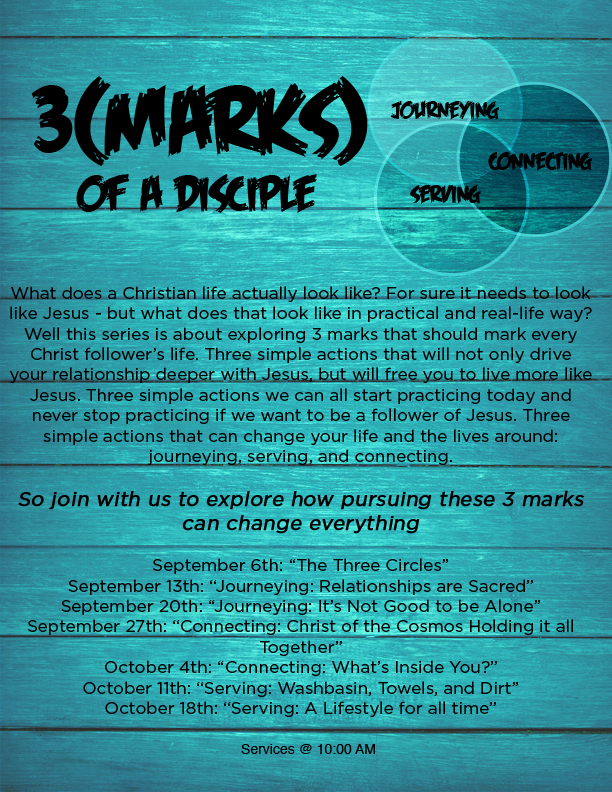 So join with us as we discover what the three marks of a Christian are.